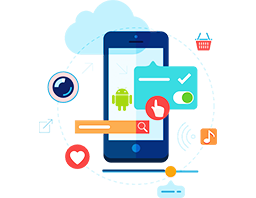 Mobile App Development Company | Android, iOS | KbizSoft Solutions Pvt. Ltd. Mobile-Development – KbizSoft Solutions Pvt. Ltd.
Who doesn’t want to grip the world with a few touches? We have experts who focuses on developing mobile-friendly websites by delivering an engaging experience through our Mobile Development services of all shapes and sizes. In order to increase sales and growth of your organization, an efficiently developed iOS apps. 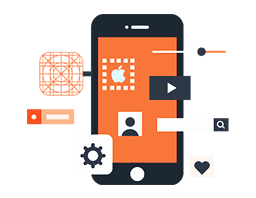 Mobile Apps for iPhones, App Store is a digital distribution platform, developed and maintained by Apple Inc., for mobile apps on its iOS OS. Android Apps are easy to access and free. An Android app is a software application running on the Android platform, it is built for mobile devices, a typical Android app is designed for a smartphone running on the Android OS. Blackberry is faster and uses less bandwidth by compressing all data. 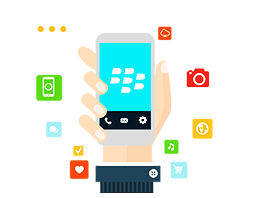 BlackBerry World (previously BlackBerry App World) is an application distribution service and application by BlackBerry Limited for a majority of BlackBerry devices.